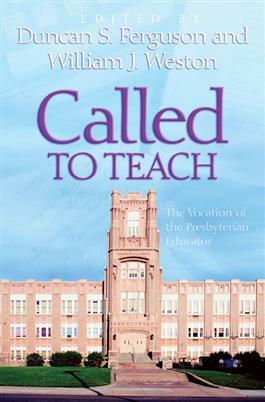 In this unique book, Duncan Ferguson and Beau Weston argue that the calling to teach is distinctively Reformed and a primary mission of the Presbyterian Church. This collection of essays first lays the biblical, theological, and historical foundations for this calling, then explores how it is lived out today in educational institutions--church-related as well as secular. Ferguson and Weston conclude that today's church must have the nurture of the teacher as a central part of its mission.